In a fit of autumnal nostalgia, I've been looking through my diaries from the early nineties when I was a student at Staffordshire Polytechnic in Stoke-on-Trent. There's quite a lot of political stuff (I was active in the Poly Labour Club and Stoke Central Labour Party as well as in campaigns against the Gulf War and in support of the miners, quite a few of whom still worked locally at Hem Heath colliery) but also the odd mention of pubs and beer too. For those unfamiliar with the Potteries, the city of Stoke-on-Trent is the result of an amalgamation in the early twentieth century of six towns (reduced to five in the novels of Arnold Bennett which omit Fenton). I lived in Fenton for the first year and then in Shelton, between the shopping area of Hanley and Stoke-upon-Trent, the city's administrative centre. 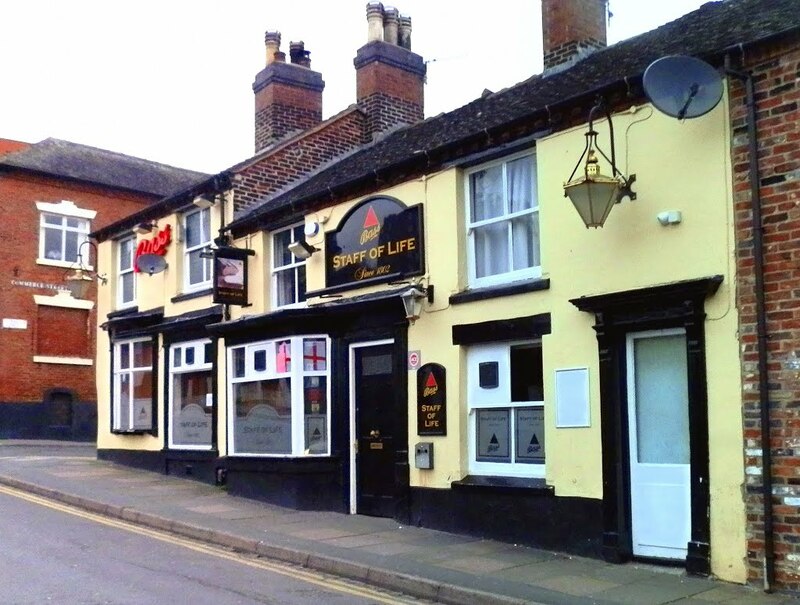 I wrote about two of the pubs I used to drink in, The Glebe (then a Banks's pub) and The Victoria (a Marston's pub) when I revisited them a couple of years ago, but I thought I'd have a look online to see what's become of some of the others. Two student pubs in Shelton, The Roebuck and Merry Tippler, have been demolished to make way for a Sixth Form college, and two locals' pubs, The Terrace and Old Corner Cupboard, seem to have been transformed into student bars. 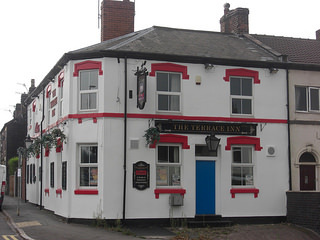 The Terrace in Fenton, where I used to drink with my housemates, is still there and looks relatively unchanged (I wonder if women still come in with jugs to be filled with draught beer for their husbands?) as does The Albion in Hanley which I often drank in after meetings in the town hall opposite. Both had what seemed to be a common practice in the Potteries then of the landlord or landlady bringing round a tray of free sandwiches and pies at the end of the night. The Black Lion in Hanley where I drank with political and student mates is long gone though. I'm pleased to see that the Staff of Life is still trading. An Irish pub, in the sense of having a largely Irish clientele rather than being plastered with leprechauns and shamrocks, it always had a decent pint of Draught Bass and I once spent a very enjoyable St. Patrick's night there drinking bottled Guinness and singing Galway Bay with the regulars. Sometimes it's disappointing to go back. In 2010, I went to the first pub where I'd bought a pint back when I was 16 or 17. The basic shell of the pub is still there, although barely recognisable, as part of a much larger complex of flats.